Bungenäs has a history of being Gotland’s largest limestone quarry (since 1950s) until the military bought the peninsula in 1963 and fenced it off from the public. Northern Gotland was a strategic location for the Swedish military during the cold war and most of it was restricted and prohibited for foreign citizens to visit. Bungenäs, having a great harbor, was a perfect place to have a big coastal surveillance radar station installed in the former quarry. The bunkers are still present, however, the military has almost completely left Gotland and now a land development company Skälsö AB, which is currently selling about one hundred lots in this 1.6 square kilometer area, owns Bungenäs. The fencing is still present and no motorized traffic is allowed. Skälsö Arkitekteter (with architects Eric Gardell and Daniel Heilborn) has been commissioned to work on the current and future area developments on Bungenäs. During five days in May 2012 thirteen artists were in residence and worked on site-specific installations on Bungenäs with the goal of further developing the B7 Baltic Sea Islands Art Projects. The exhibition was open to the public during the following week and a majority of the artworks remained on site during the summer. 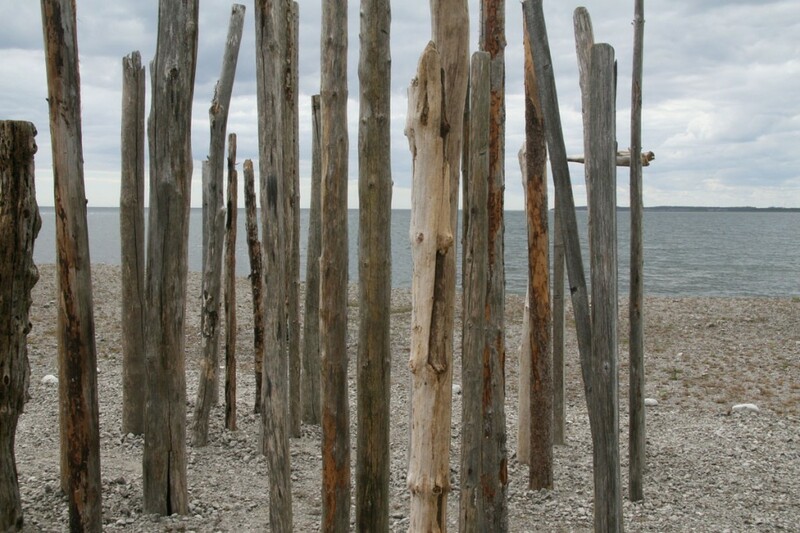 The Baltic Sea Islands Art Project is organized in the framework and with the support of the B7 Baltic Island Network, an international organisation of the seven large Baltic Sea islands: Öland and Gotland (Sweden), Saaremaa and Hiiumaa (Estonia), Åland (Finland), Bornholm (Denmark) and Rügen (Germany). The event is organized in the framework of CASE STUDY: GOTLAND.